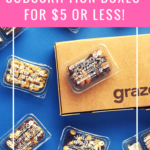 Coupon: Use coupon code NEKOSQUISHY to save $5 off your first box! It looks like they’ve updated the box for this subscription, and I really like the changes they’ve made. This seems sturdier than the previous design, and I like the new colors! This box always includes a card detailing the items and also reveals the theme for the month. This month’s theme is Sakura Surprise! I love cherry blossoms, so I’m very excited about this. If there’s one thing this box delivers on, it’s an extreme cuteness factor, which is wildly present in this soft plush! Just look at this bunny’s cute little face. I love the whimsical blue color, and the fur is so, so soft. I love the overall design; everything from the blush in its little cheeks to the heart cradled between the paws! The squishy keychains are one of my favorite types of items to be found in this box. This one is absolutely amazing! It’s so realistic-looking; I expected the sprinkles to be hard like real ones instead of part of this ultra-soft toy. As usual, my need for super-kawaii writing implements was met in this box! The flamingo feels so nice and summery, and the pink color of the outside fits into the Sakura theme so perfectly. I’ve noticed that Shiba Inu items are pretty common in these boxes, which is fine by me, because I love dogs, and happen to think that Shibas are super-cute. I love the way this notebook swivels out to reveal the pages; the front and back covers are a nice design element to keep the middle protected. This would be the perfect pad to stick in a bag and not worry about it getting messed up. This also feels like a nice nod to the warmer weather! I love the little cacti drawing on the tape and the shades of blue are super-soothing! Plush keychains are always a welcome sight for me in these boxes, and I love this little cloud! The material is so soft and he has just the right amount of squish. I love that he can be attached to any bag to brighten up the look. I look forward to the stickers in these more and more every month because they keep getting cuter and cuter. These puffy stickers are so adorable, and the depictions of food are so widely varied. There’s little cartons of milk, slices of pie, eggs, skewers, and even teeny tiny lattes. I’ve mentioned before that I’m not a huge fan of fruity or gummy candy, but I couldn’t believe how much I liked these! They were fruity, a touch floral, and had a really juicy vibrancy that I liked a lot. Verdict: Another month of cuteness! I thought a couple of items fit the Sakura theme pretty well but I loooove cherry blossoms and would have liked to see a few more items that fit the bill. That being said, I really liked the items this month; that bunny is the absolute cutest, I can’t wait to put the pen at my desk, and I can’t wait to use the bento stickers. The ice cream squishy and the cloud plush are going to get so much use; I can’t wait! Can you still get this box if you sign up today? No. 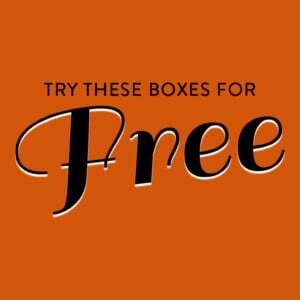 You will always receive the following month’s box of the month you subscribe in. Order by the end of May to receive June’s box. Value Breakdown: At $19.90 for this box, you are paying approximately $2.21 per item. It looks so real, doesn’t it, Victoria?? Those sprinkles are just too lifelike, haha! I’m scratching my head. This box does not resemble what I received in my box at all and my box definitely was not the ‘upgraded’ version. Even if you look at their site, the box being reviewed here is not the one on their site, mine is. This review is April did you get the May box? Super cute!this kind of box makes me happy. Me, too! There’s something so nice about receiving inherent cuteness – it feels like the nicest kind of time out.